Riverside Bouquet Florist in Riverside, CA has floral arrangements and gifts perfect for special occasions, but sometimes you don't need a reason to remind someone you care. That's why we think "Just because" is one of the best reasons to say: "Thank you" "I'm sorry" "I love you" "Hope you're having a good day" "Hope you're having a better day" "Good luck" "Congratulations" "I miss you" "I wish I could be there" or "Forgive me." Browse our sample selection at Riverside Bouquet Florist in Riverside, CA and flowers order online or call our florists direct to place an order "Just because." Our professional florists at this local flower shop in Riverside can make can make a fabulous floral arrangement to make anyone smile! Need a flower delivery in Riverside Ca? We can help with all of your floral delivery needs! Just call our Riverside Florists today or order flowers online 24hrs. It just takes a matter of minutes and you can make someone smile with flowers, send just because flowers today. There are many different reasons to send flowers, but our favorite is just because! What Makes A Great Anniversary Bouquet? A Bouquet of Roses Is a Great Start! The Riverside Florist in Riverside, CA has gifts and flowers perfect for any anniversary. Ode to the remembrance of love. Anniversaries - the special day where romance is reminded in the art of actions. 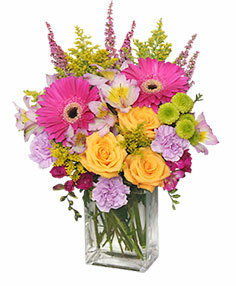 Send flowers to your significant other and start their day off colorfully! Is it your wedding anniversary? Not only is the rose a perfect wedding flower but its a perfect flower to display your passion for today and the future. The perfect anniversary day gift for your lover is just beyond reach. Follow our flower guide and order happy anniversary flowers from Riverside Bouquet Florist in Riverside, Ca for your wife, husband, friends or relatives. Your love will be felt by everyone in the room with every bloom. 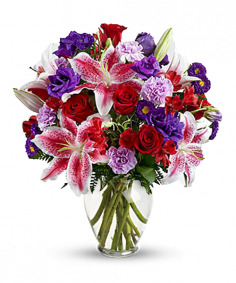 We offer anniversary flower delivery to anyone you choose during this special occasion. Whether this is your first anniversary or the 25th, flowers have never gone out of style for sameday delivery. We may price high to low depending on your request. Only the style of different floral arrangements change to match the love of each relationship. Don't let your sweetest day go without sending an anniversary gift worthy of your loved one. 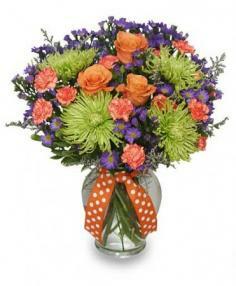 Send s same day flower bouquet to your loved one. The Bouquet Florist Anniversary Arrangement from Derek Contreras on Vimeo. What Florist Designed Bouquet Should I Send That People Love? Roses are a classic way to say "I Love You" on your anniversary, while a custom floral arrangement always makes a perfect surprise as a beauty bouquet. You can send traditional Red Roses as an anniversary favorite. Red Roses display romance. Pink flowers show devotion and White Roses display purity. A pink rose bouquet is another fan favorite just after a dozen long stemmed red roses. If he or she loves pink and white colors you may send a bouquet such as our Luck Be A Lady Bouquet. Lavender roses are becoming quite popular such as the Lavender Princess arangement. Is it an anniversary for an occassion like a work incident such as 10 year milestone? Send yellow roses as they embrace friendship and celebration! Different colored dozen roses may even represent your birthstone collection if you wish it. Many senders send flowers as a spa gift as they add a subtle scent to the background of the massage. Anniversary flowers and gifts are the perfect choice for any location whether it be business or leisure. Romance flowers will never go out of style, and it doesn't just stop at the roses. You can send mixed bouquets to your lover. Send a calla lily bouquet of all-white fragranced floral. Send a lily bouquet if your lover basks in the frangrance of flowers. There is an assortment of different flowers for a grand appearance such as our Perfect Love Bouquet. When you're sending anniversary flowers to a spouse - go big and make it unforgettable. Roses in a box or our presitigous rose flower box is a Beverly Hills, CA inspiration. An 8" round hat box gathers nearly 2 dozen roses of your color choice. They are the epitome of luxury and class. 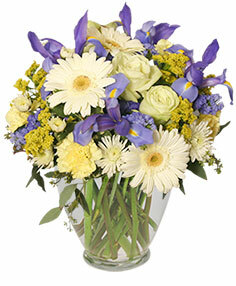 We are the only riverside florist that offers these flowers in a box of this quality and specialty. The original roses flower box is the #1 choice among our customers for anniversary. Flower Bouquets are not the only anniversary gifts. Gift baskets are becoming another big hit. Many customers submit to us gifts and items to prepare a basket wrapped in a bow. Another favorite are fruit baskets? Although becoming rare there is never a bad time to send your lover something healthy to eat and show them you admire their consistency over the years. Are you sending anniversary flowers to your male spouse? Tropical flowers are a big hit with the men. They retain masculine qualities and men love to place them on their desk at work. Chocolate covered strawberries are another way of saying "Hey I love You" without embarrasing your husband! Green plants and blooming plants are a great option for those who aren't too fancy for flower arrangements. Not Only do they last much longer, but they may be planted later if desired. Flowering plants are an excellent way to spread love! Your anniversary only comes once a year and we're here to help you create a stunning gift that she'll never forget. We have created thousands of anniversary arrangements that have left the receiving party star struck. Always remember to pick your gift with your significant other's best interests in mind. What are her favorite colors? Is there a favorite flower that you can think of? How about leaving a special message! Call now and speak to one of our Riverside Florist and get your order started today. There’s No Better Way To Say Happy Birthday Than With Flowers on their big day. Same Day delivery is likely to excite the person you love with warmth and happiness. There are a number of gifts to be given on someone’s birthday. Gift baskets are a fan favorite. Composing birthday gift baskets of their favorite items such as snacks, toys, office items, and do we dare say alcohal and crackers work amazingly. Gift ideas are very popular, but the #1 item sold for are the happy blooms of floral arrangements. The top rated gift among birthdays are birthday roses. Riverside Bouquet Florist in Riverside, CA delivers for the occasion! Birthday flowers serve as an appetizer before the birthday celebration. Imagine your loved ones receiving flowers at their doorstep or at work for all to see. Birthday delivery is very popular and the entire office space can share in the delight of birthday balloons and happy birthday bouquet. Being the center of attention is the beginning of an amazing birthday for your loved ones! Our florist designed flowers are bound to win you the title of best gift! We offer a variety of flower bouquets and flower arrangements for the occasion. Do they adore a dozen long stemmed red roses, pink roses, orange roses, yellow roses, fall flowers, peruvian lilies, orchids, lilies, or particular flower types? Is there a seasonal flower that captivates their attention? Give us as a call and share with us their special day. Price ranges from $20-$150 for brithday arrangements. The creativity isn't limited to price, but your imagination. A birthday wish is much better than a christmas gift as we always say! We've been in this industry for quite some time. 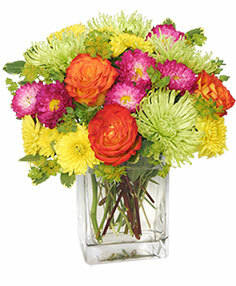 The birthday boys/girls love a colorful and bright birthday flower bouquet. Combine flowers and gifts that we may deliver. Wanting to combine creativity with imagination? Send them a birthday cake made exclusively out of flowers. Will the flowers be better at home in a garden? Send your loved dish gardens so they may plant them in harmony at their home! Gourmet gifts or fruit bouquets are a great way to send a snack and even see them later to eat it. Looking To Send Birthday Flowers That Rival The Most Luxurious Locations? Send them an Original Birthday Roses Flower Box as if they were in Beverly Hills, Ca. Send them a Bouquet of Romance Roses to wow the crowds at work. 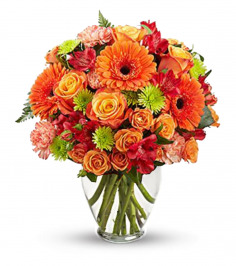 If you’re just a friend, send them a colorful bouquet that is bright and cheerful. Wanting something more rustic? Wanting something serene and peaceful? Send them orchid plants that grace the area with peace. Send them a mason jar bouquet that will fit right on their desk at home or in the office. No matter what you decide to choose there are a number of arrangements to select. If you don’t see something specific that catches your eye, you may select a Designer’s Choice Arrangement and detail what you would like for us to create! Place an order online or give us a call. Figuring out what to choose for someone's bday can be tough, but if you follow our flower guide and gift guide, you can make any gift you choose, one to remember. But wait! There’s More! No, this isn’t an infomercial, but we also offer an assortment of add-ons to personalize each celebratory order. We offer Cookies from The Riverside Cookie Shoppe, Chocolates, Chocolate Covered Strawberries (If Available), Blooming Plants (If Available), Birthday Balloons from Alan’s Party Supply, Bears, and more. If you wish to send a balloon bouquet full of mylar and latex balloons, we may assist you there as well! Same-Day Delivery For You Happy Bouquet! Your loved one not feeling too well? Perk up your their joyful spirits with fresh flowers that are bound to give them a boost in this thing called Life. Flowers not the optimal choice to send? Have gift basket of sweets and popcorn delivered to their home, nursing home, or hospital. They say the best things in life are free? Little do we know the best things are free and delivered to your door. If you can’t deliver the gift yourself, Riverside Bouquet Florist in Riverside, CA will be the flower shop that delivers hand-made arrangements and gift baskets for you. We use the freshest flowers when making your floral arrangement. If you’d like you may also pick-up the arrangement. These get well soon gifts are the perfect way to send your positive, happy thoughts and best wishes for a speedy recovery. At the end of the day Let RIVERSIDE BOUQUET FLORIST of Riverside, CA help you send get well wishes to your friend or loved one. Don’t forget to show them how much you care with a get well gift basket filled with a floral arrangement or customized get well gifts. A basket filled with snacks, bath products, unique jewelry and accessories, or a favorite stuffed animal is a great and easy way to cheer up a loved one. Top off your personalized gift with a fun balloon bouquet. Wanting something a little more traditional? There is no better or simpler way to remind someone that you're thinking of them than with get well flowers from RIVERSIDE BOUQUET FLORIST. Scroll down to browse and order online from our sample selection of get well flowers and plants or call to customize a gift for that special someone. 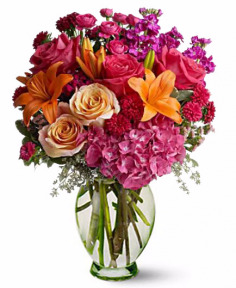 Let RIVERSIDE BOUQUET FLORIST of Riverside, CA help you wish a loved one a "Get well soon". Are you looking to send your favorite student flowers for graduation? Why not send the class flower, or a dozen roses to show your pride? Giving flowers to honor someone's hard work is a long-standing tradition. RIVERSIDE BOUQUET FLORIST can help you choose the perfect arrangement for any deserving student, just give us a call, shop online or stop by our store in Riverside.